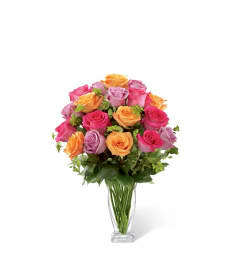 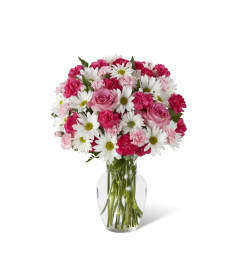 Love blooms ever-so-sweetly with a mixed flower bouquet beautifully designed to deliver all that’s in your heart. 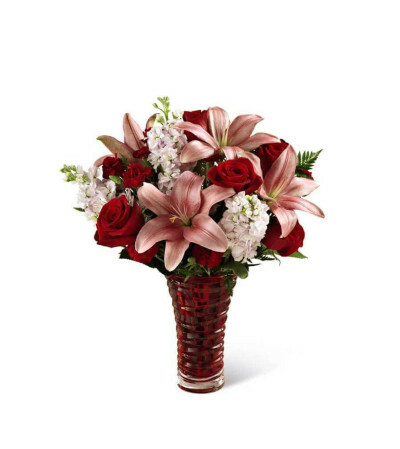 This exuberant composition of mixed flowers includes roses, lilies, stock and mini-carnations, all beautifully hand-arranged by an FTD artisan florist in a heavy, red glass, contemporary-styled vase. No matter who you’re celebrating, this rich and lovely bouquet is bound to make a lasting romantic impression.